FRE 702 is the law that federal judge’s must abide by when assessing expert testimony for admissibility. This article gives brief overview of the three leading Supreme Court cases that ultimately influenced the amendment to FRE 702. The history of the laws and precedent-setting cases on admissibility of expert testimony may seem dry or irrelevant to experts considering taking a case, formulating an expert opinion, or preparing to testify. Although those significant court decisions may have been made years ago, today’s attorneys rely on the language in those opinions when drafting and responding to motions to exclude experts. Similarly, judges adhere to these precedents when deciding whether to admit or exclude expert testimony. Understanding these historic cases will assist you in your role as an expert because the American legal system is based on case law; prior decisions are persuasive to (and often binding on) a court deciding subsequent cases with similar issues. As such, experts in similar disciplines who are opining on similar issues can utilize past rulings to achieve similar and predictable results. A brief overview of the three leading Supreme Court cases that ultimately influenced the amendment to FRE 702 is discussed below. (4) Whether the theory or technique has general acceptance within a relevant scientific community. The case was then remanded to the Ninth Circuit; the court that had affirmed the district court’s decision to exclude the plaintiffs’ expert testimony. On remand, the court reconsidered the admissibility of the plaintiffs’ expert testimony using the Daubert criteria, again excluded the testimony, and granted summary judgment in favor of the defendant Daubert v. Merrell Dow Pharmaceuticals, Inc. 43 F.3d 1311 (9th Cir. 1995). The Ninth Circuit’s opinion, delivered by Circuit Judge Kozinski, is worth reading because it clearly articulates the challenge federal courts would confront in applying Daubert. Kozinski prophetically stated, “Federal judges ruling on the admissibility of expert scientific testimony face a far more complex and daunting task in a post-Daubert world than before.” The circuit court distinguished this “brave new world” by discussing a two-prong test the court had to apply. It explained the first prong, “reliability,” was demonstrated when an “expert’s findings were based on sound science, [requiring] some objective, independent validation of the expert’s methodology.” The court noted that validation could be shown from the expert’s research outside litigation or from peer review or publication, but not by the expert’s assurance alone. The circuit court explained that the second prong, “relevance,” addressed whether an expert’s testimony would be helpful to the jury. It defined “relevance” by the Supreme Court’s use of the word “fit”—whether there is a “fit” between the expert’s opinion/conclusion and the facts or issues in the case. Applying this two-part test to the facts and issues in the Daubert case, the circuit court found that the plaintiffs’ expert testimony was not: 1) reliable because the research had only been conducted for litigation, the methods were not supported by the literature, and the methodology had not gone through any peer review; and 2) relevant because the conclusion did not support the issue in dispute. Most significant to experts was the Supreme Court’s finding that the trial court properly excluded the plaintiff’s expert’s testimony because there was “simply too great an analytical gap between the data and the opinion proffered.” In other words, the Court found the expert’s opinion to be speculative because it could not be supported by the underlying methodology, even when the methodology itself was reliable. Furthermore, the Court noted that an expert cannot rely solely on his or her qualifications as validation that an expert opinion is reliable. One year later, the Supreme Court heard Kumho Tire Co. v. Carmichael, 526 U.S. 137 (1999). At issue was whether the Daubert criteria applied to experts other than scientists. The district court, relying on the Daubert criteria, excluded the expert testimony of the plaintiff’s tire failure analyst and granted summary judgment in favor of Kumho Tire Co. The Eleventh Circuit reversed and held that the trial court erred by applying Daubert to a non-scientific expert. 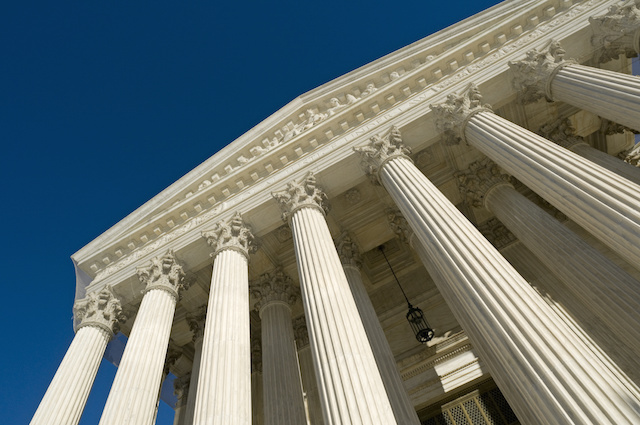 On appeal, the Supreme Court reversed again and held that the lower court correctly applied Daubert because the “general principles” applied to all testimony based on “technical or other specialized knowledge” as provided in FRE 702. The Court also granted trial judges “broad latitude” on whether to use one or more (or any) of the Daubert factors, so long as the judge—as gatekeeper—sufficiently assessed the reliability of the expert testimony. The Supreme Court developed the Daubert factors as guiding principles to assist trial courts in adhering to FRE 702 when evaluating relevance and reliability of expert testimony. As is the nature of guidelines, they have been subject to interpretation throughout federal court system since then. Though FRE 702 was amended in 2000 in response to the Supreme Court decisions, after nearly twenty years of federal court rulings since Daubert, both district and circuit courts have applied their own clarifications, refinements, and expansions. Courts have learned that when faced with determining admissibility of expert testimony, there are not “one size fits all” criteria applicable to all types of experts, novel or emerging science, or different areas of practical experience. As a result, there is diversity among the district courts and among circuit courts on how to interpret Daubert when assessing admissibility of expert testimony. When you are considering taking a case or are already working on one, it is advisable to check with the attorney on admissibility issues in your jurisdiction—is there precedent for admitting or excluding experts in your discipline; is there precedent for admitting or excluding similar methodologies based on reliability, or is there precedent in general on whether the court typically permits experts to testify even if the Daubert challenges are strong? This article originally appeared on IMS-ExpertServices.com in the Expert Library on May 15, 2015.